This was not a typical day in the office! My friend and fellow physician Dr. Frederick asked for help. He needed my assistance to remove a bullet from a patient who had been shot multiple times and narrowly escaped death. This man had undergone surgery 6 months ago, but still had a bullet in his right side. It wasn’t life threatening, but it was uncomfortable when lying down to sleep, and he wanted it gone. Of course I jumped at the opportunity to help my friend and his patient in need. 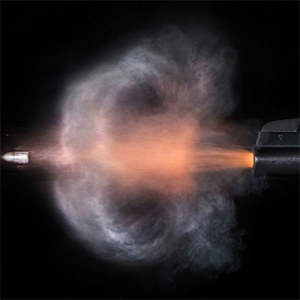 I often carry out work at The Judeo Christian Clinic where we provide medical care to those who can’t afford it or who don’t have insurance, as well as mentor ship to students who volunteer – but never to remove a bullet. Later that week Dr. Frederick brought the patient to my office, introducing him as Lester. I met Lester for the first time in my office, and after we shook hands, I paused for a moment and declared, with a smile on my face, “Well thank goodness you are alive!” I like to start things on a positive note, and what better way to celebrate that this man survived a near death experience? After a friendly chat, he agreed to let the procedure be broadcast live on the Periscope app. I love teaching and sharing our work with students, physicians, and anyone who wants to learn more. It still amazes me how technology allows us to post live video at a moment’s notice. Unfortunately, when I measured Lester’s vital signs, I discovered that the excitement in the air made his blood pressure too high to operate. I could see that he felt tense, his forehead creased with anxiety. I decided to use my most powerful and effective medicine to prepare him for the procedure…Smile Therapy. I put my hand on his shoulder and looked him straight in the eye. ‘Here’s your job,’ I said. ‘Just smile and take a big breath in.’ We did it together, breathing in and out with a big smile. ‘Man, I feel good after that,’ I said. ‘Let’s do it again,’ as he got ready to take another deep breath with me. This is a practice I live by and I knew I needed to instill this in Lester if we were to operate on him. The body is the most powerful pharmacy in the world, if you know how to use it. To calm him down more, I knew we needed to chat. And more importantly, he needed to smile. ‘So what do you do?’ I asked. ‘I’m a truck driver,’ Lester replied, breathing a little deeper and slower. ‘Ah, like my brother,’ I said. ‘He tells me how an 18-wheeler slides sideways when driving on ice! Scary! !’ Lester responded with a smile, ‘I don’t drive up North for that reason!’ And we shared a laugh. No one wants to be in an unfamiliar place, worried about a procedure, anxious about a 9mm bullet lodged in their side, exposed and self-conscious with their shirt off in a room full people they just met. Well that pretty much sums it up. No matter what we are doing, if we are laughing, it makes things more fun! So many people complicate the idea of living life with joy. As Lester lay there on the bed, preparing to have the bullet removed that could so easily have taken his life, he made it all so simple. We laughed together as we all took in this life lesson. Yes, we were helping Lester by removing the bullet, but he was also teaching us. We were being presented with the same lesson that I see over and over again in my practice – when we put our heart into what we do and when we do it from a place of joy, we learn. We gain as much as the patient does. These are the moments that transform my team’s lives. Moments like these are what show my patients, students and nurses the power of smiling. So now that he had relaxed, I prepared to numb him up. I don’t like to create pain in my office, so I have a vibrating buzzer that I put on the skin as a distraction. The brain gets overwhelmed with too much stimuli, and the buzzer acts as a distraction and minimizes the pain! We stitched him up, and he shook our hands with appreciation, thanking us for our help. Lester taught us all an important lesson that day. Take the time to enjoy the simple pleasures. Smile at a stranger, or laugh with your family and tell them how thankful you are for them. Share a compliment with someone and share a smile together. Often we have no idea how much of an impact this can have on someone’s life, including our own. Want to learn more about the power of smiling? 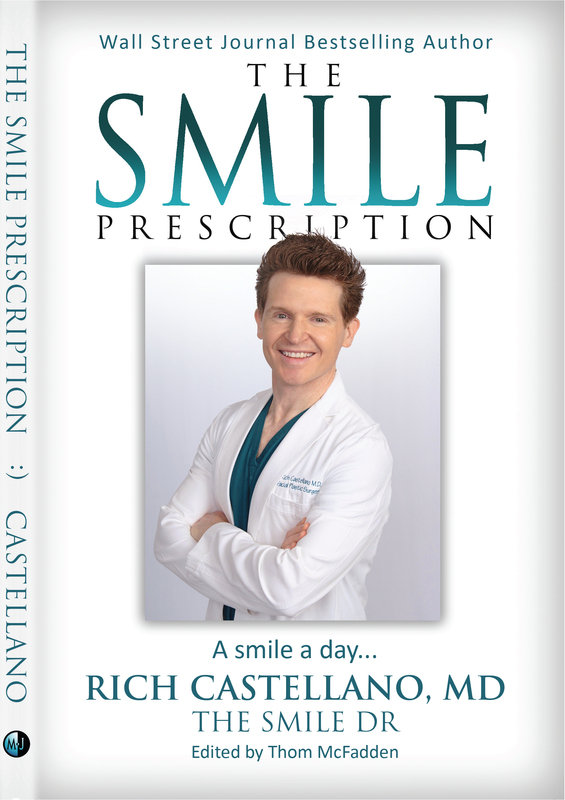 Get the full scoop in my new book The Smile Prescription. It is guaranteed to be one of the most important books you will read in your life! Call ImageLift today at 877.346.2435 or visit our Facebook page for more info.